Days before our flight to Incheon, we planned this climb to Mt. 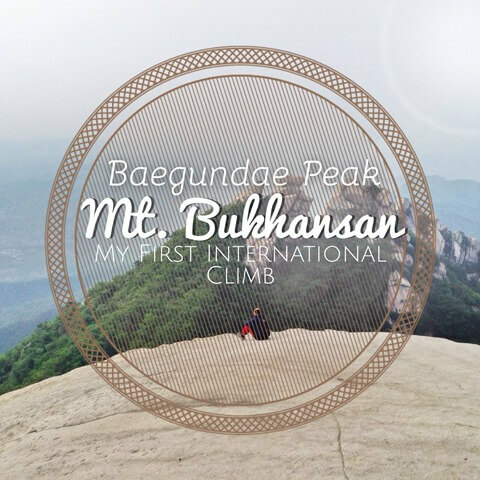 Bukhansan because we wanted to experience to climb in other country, coz it’ll be our first international climb. At first we didn’t know that there are a lot of peaks in that mountain, we then picked the highest peak which is Baegundae. 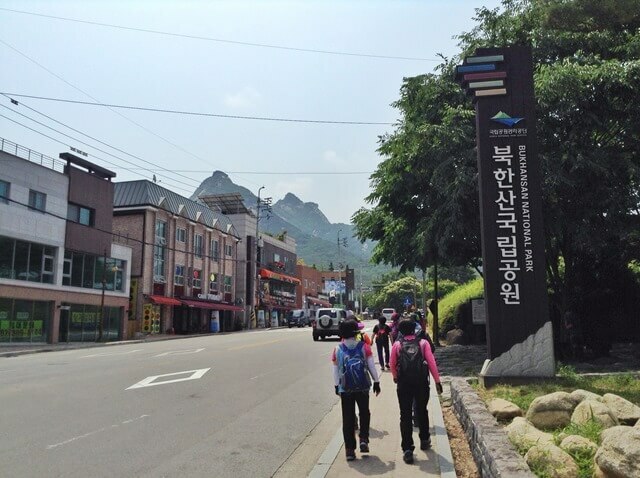 By reading some blogs, we kinda know how to go to Mt. Bukhansan. 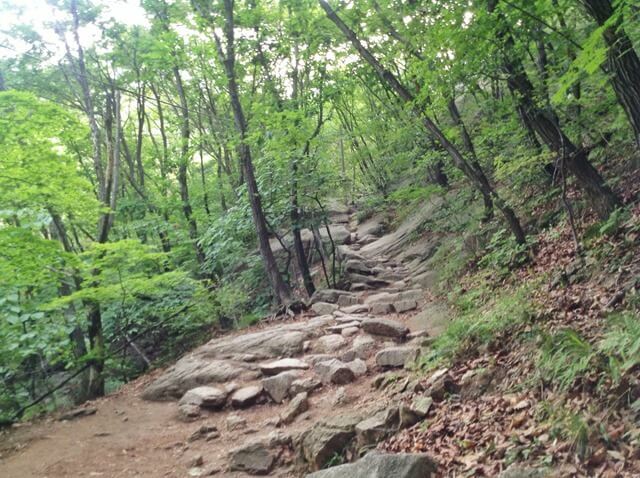 It is a mountain near Seoul, actually it is within the Seoul area. Mt. 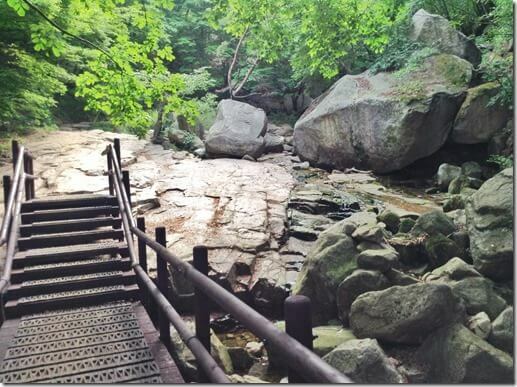 Bukhansan is the only the national park in Seoul metropolitan area.It is located at the northern part of Seoul, South Korea. 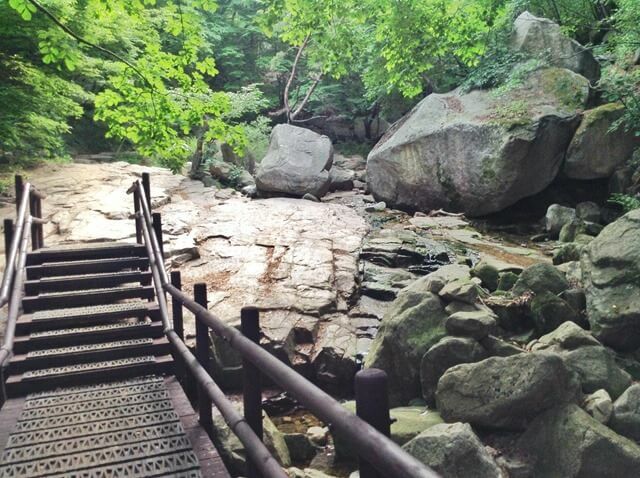 It is popular with hikers, it offers trails suited to every level of experience. 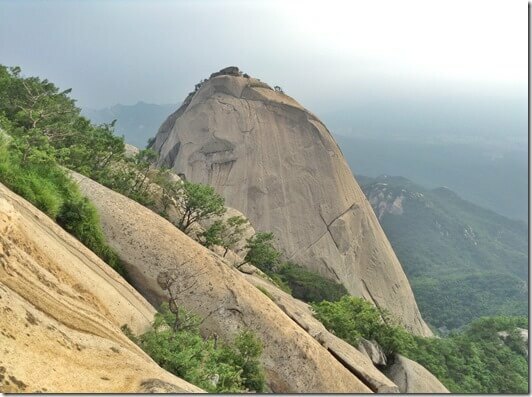 The mountain is rich with granite peaks, also historical and cultural heritages. Baegundae Peak is the highest peak among the others, it is 836.5 MASL. 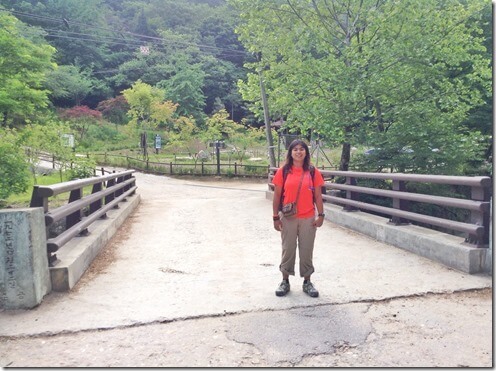 When we (me and Sherrille) reached the entrance of Mt. 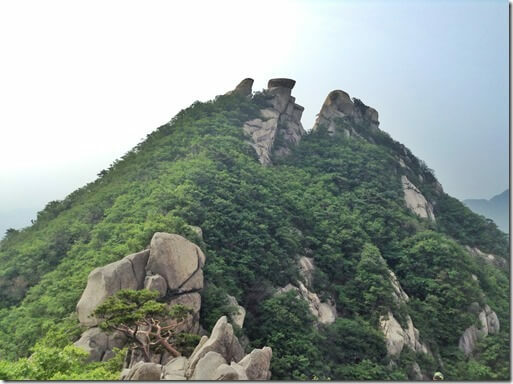 Bukhansan National Park, we asked for the way to Baegundae Peak. 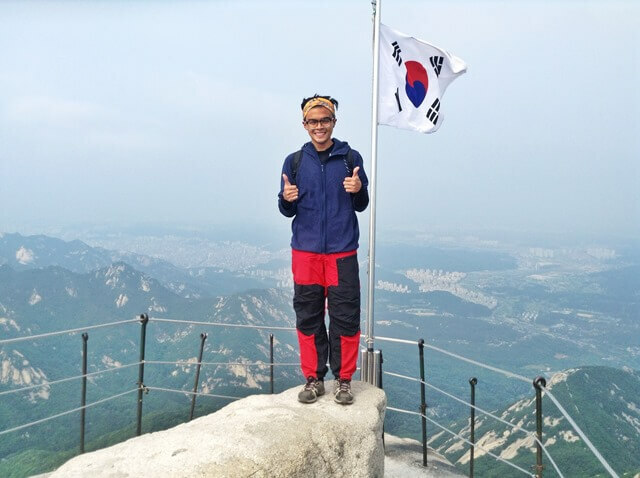 Good thing, the care taker knows how to speak in English, he run out of map to the mountain so he just told us to follow road until we reach a bridge then we take the left road, that will lead us to Baegundae Peak. He also told us that the trail to the peak would take us 2.5hrs to 3hrs. So we thank him and bid our goodbyes. With hesitation and paranoia, we walked through the trail to Baegundae Peak. We passed by 2 separating road, but just like the care taker told us, just follow the road. The road is cemented mild steep. 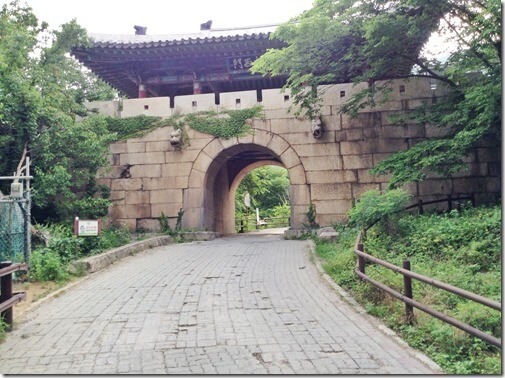 We saw Daeseomun (Great West Gate) it is said to be the main gate of the Bukhansanseong and is located at the lowest spot among the 16 fortress gates. This gate was used in Joseon dynasty. The present gate tower was restored in 1958. 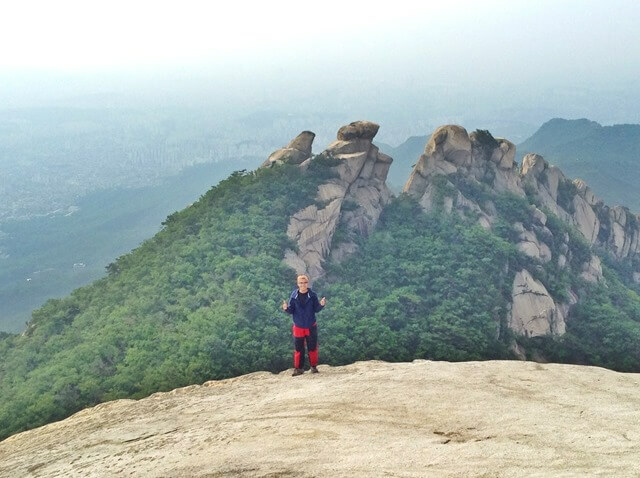 After almost 20 minutes of walking, we reached the jump off of the mountain (at least, we think it is). There you’ll find the bridge that the care taker is telling us. We had a water break, got to drink cold flavored water in their vending machine, they also has toilet here. We take the left road just like what the care taker told us to do. 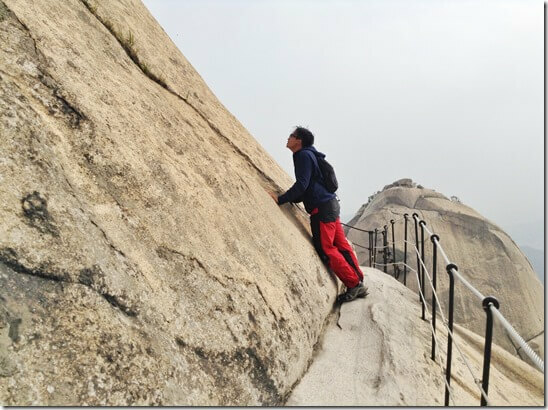 I think the right road will lead us to other peak of the mountain. It is the start of rocky, steep trail to Baegundae peak. 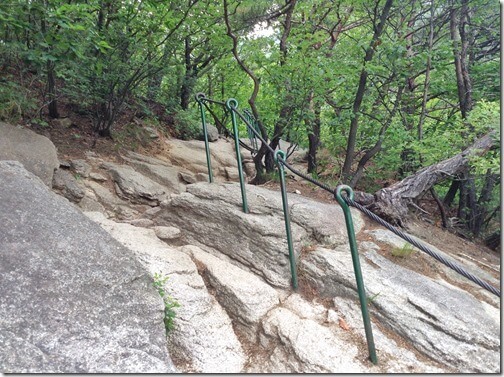 This trail is located at the side of a temple. 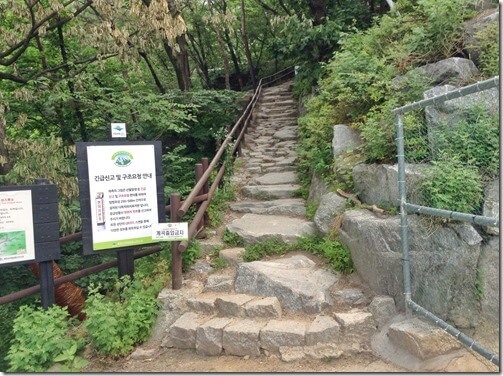 If you see this gate you’ll know you’re near to the peak. 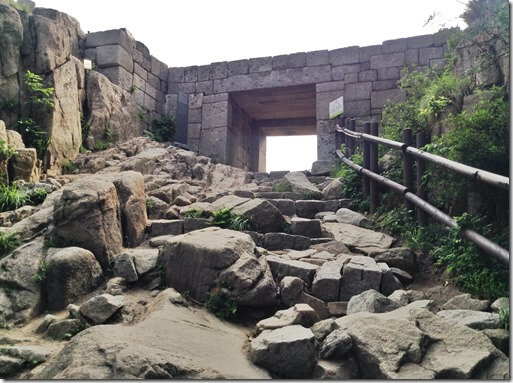 This gate is called Baek-wun Bong-‘am-mun, it is located between Baegundae peak and Man-kyeong-dae peak. It is build in the highest spot among other fortress gates of the Bukhansanseong. From here you’ll see the way to granite peak. It is very steep but the view going up the peak is amazing. From the last gate, it’ll take you 10 mins to reach the summit. You’ll see a South Korea flag on the top. It’s very fulfilling to reach the top. You see the full range of Mt. Bukhansan, the busy city of Seoul and the Han River. I’ll never leave the summit without a selfie. That’s Insubong Peak behind us. I wanted to climb that, but I think the only way is to rock climb your way to the top. Too bad, I’m not prepared for it. We descend down the mountain, from what we’ve climbed, the trip down would be hard on our knees. Oh! 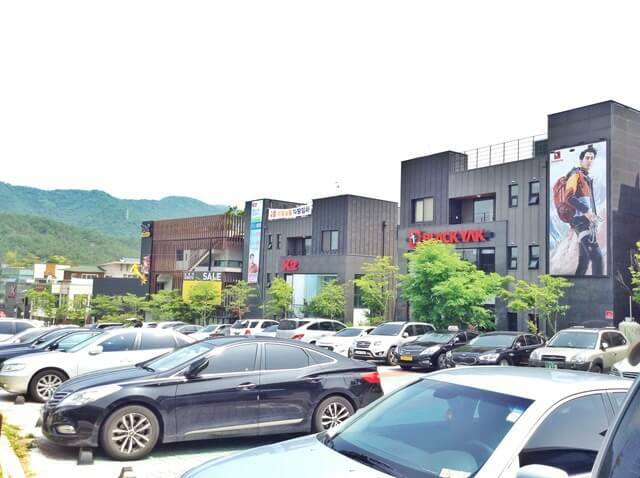 At the entrance of Bukhansan National Park you’ll find a lot of outdoor shop, having their own building lining up on the streets. It’s like a haven for everything outdoor. Too bad we didn’t brought that much of money. I don’t know about the other way, but if you know how to get your way to LINE 3 (Red line in the map of subway) of the subway of Seoul. Just get off when you reach Gupabal Station and exit on EXIT 1. 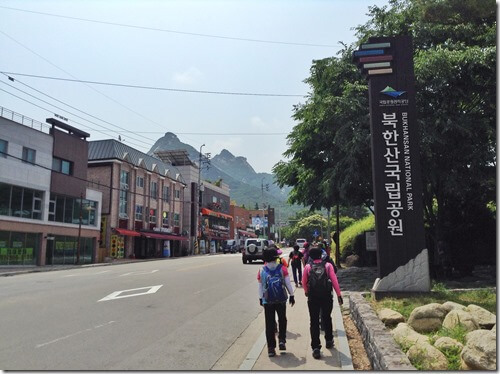 Ride a bus, a 704 BUS, to Bukhansan Mountain Entrance. You might wanna check this out if you’re coming from other place, here. PS: Unlike in the Philippines, the common courtesy is you greet others Goodmorning Sir/Maam! 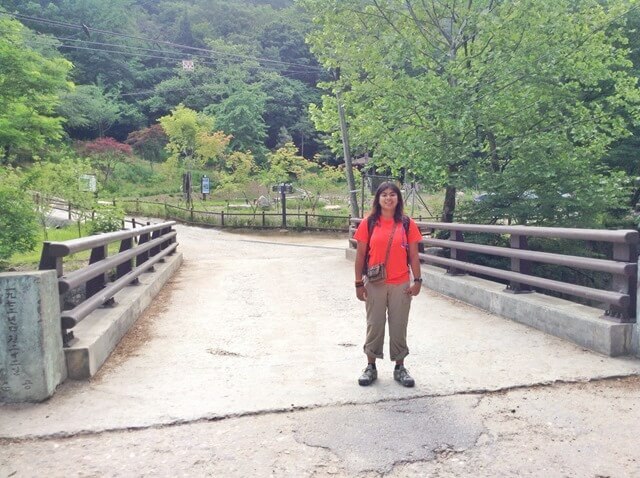 here we greeted every hikers we see on the trail Anyeong Haseyo (then bow). They are very approachable and they immediately know we’ And oh! 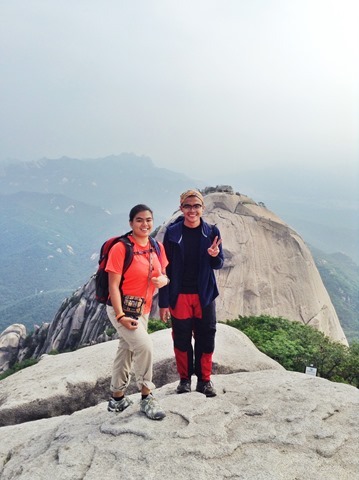 I must say the Korean hikers have a good taste of climbing outfit, they are so colorful, SOOOO CUTE! ← How to get a visa to South Korea in the Philippines? Hi. 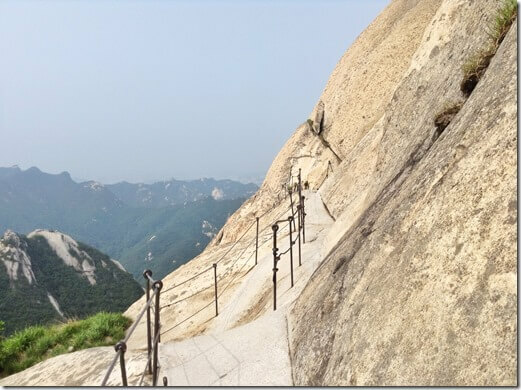 Is there an entrance fee to hike there? Do you think I can climb during winter? I’m going to Seoul this Feb 2016. Thanks thanks! 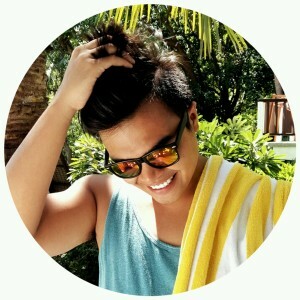 Hello! There’s no entrance fee, free for everyone. Yup! The trail is really established, they even have hand railings that the tourists/visitors can use to reach the peak. You should visit this place! Goodluck and enjoy Seoul!